Enhanced job descriptions are being used by forward-thinking employers to stand out from the competition and better attract and recruit talent. Enhanced job descriptions go above and beyond the typical list of skills and qualifications and turn the job description into an employer brand-driven landing page with visually appealing and persuasive content that’s designed to convert more candidates into applicants. Download this Rally Ideabook featuring 6 inspiring examples from Red Bull, The Auto Club Group, Sodexo, Citizens Bank, Northwell Health and It’Sugar. 56% of all external hires are made as a result of someone applying for a job on a job site; whether that’s your own careers page, a paid job board, an agency’s website or one of the free aggregators like Indeed.com. The role of job descriptions in the recruitment process has changed dramatically in the last few years. What candidates are searching for in their careers is changing and in order for companies to have an edge on competitors they need to adapt with it. In Talent Acquisition, enhancing your job descriptions to attract high-quality candidates has a large impact on your talent conversion rates. Candidates need to be compelled and moved to action with your company. We can take small steps towards enhancing the candidate experience by providing future talent with the “Why?” behind the reason they should consider your company above all others. 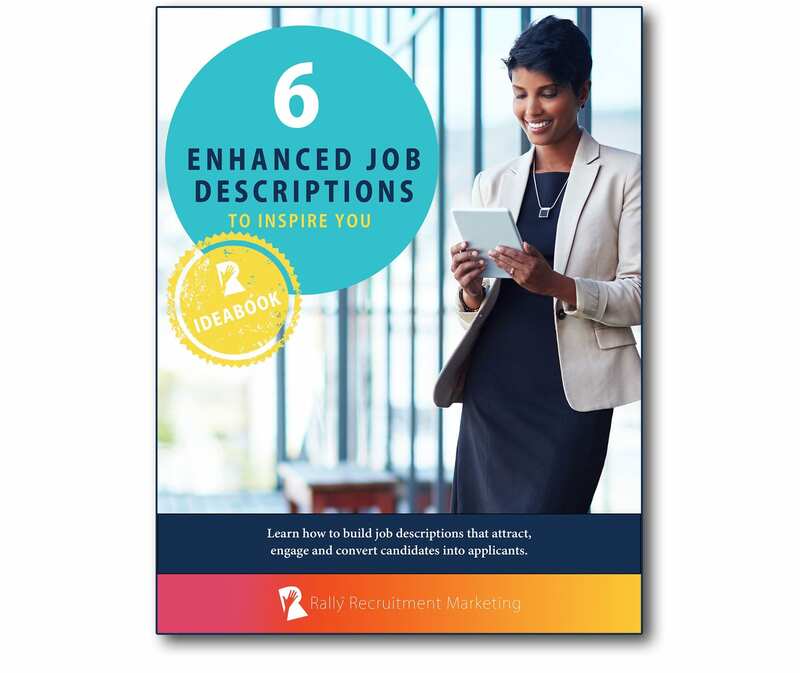 In this Rally™ Ideabook, we’ll cover everything you need to know to create and use enhanced job descriptions to attract, engage and drive candidates to action. We’ll explain what makes enhanced recruitment job listings successful and provide 6 examples to inspire you. Beginners – Elements of a job description that attract and engage candidates. Professionals – Ways to incorporate your employer brand into your job descriptions. Experts – Tactics that can increase careers site conversions. Vizi is a sponsor of Rally. Their sponsorship fee helps us to create educational content and events on Recruitment Marketing.